Late night, I was still busy, busy wrapping those Christmas presents. 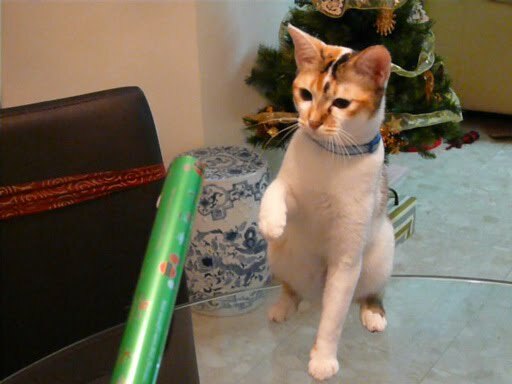 Creme was up from her nap, her attention drawn to this shiny green roll (my wrapping paper). Not sure why but she must have really hated this long green roll (see her angry face below). She used all her strength to hit it until a 'bong' sound was heard.